We are renowned as an eminent trader and supplier of a wide range of Digital Power Factor Meter. This meter is acclaimed in the market for its optimum finish & performance. Our offered meter is designed using premium quality material and modular techniques, in compliance with set industrial standard. Provided meter is checked on numerous parameters of quality in order to ensure its flawlessness. 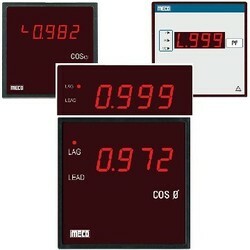 Looking for Digital Power Factor Meter ?